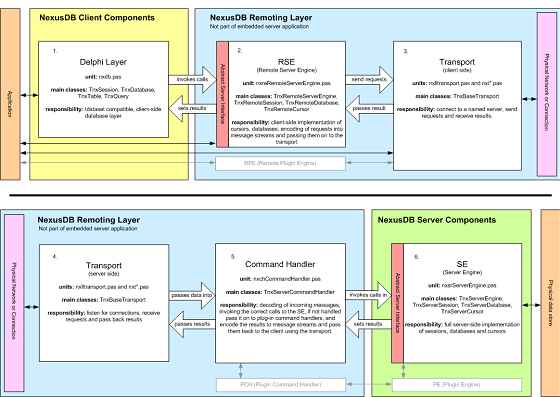 The NexusDB database engine for Delphi is our award winning flagship product. NexusDB is a royalty-free database system, with features that rival other heavily licensed products. NexusDB introduces unique new features for Delphi developers while further improving on its core strengths stability, performance and flexibility. NexusDB implements the international standard ISO/IEC 9075 - SQL:2003, including most of the Core SQL functionality as well as many of the additional features defined in the standard. In addition, NexusDB augments SQL:2003 with extensions to expose vendor-specific functionality. Please take a look at the extensive features that NexusDB has to offer. We're sure you will find all you need and more. These advantages when combined with royalty-free licensing and full source code make NexusDB a truly compelling product.